This part of the LOS trilogy was the worst of them !! AS DARKNESS FALLS, A HERO MUST RISE! On the Night of Eternal Darkness,Spyro must prevent Gaul,the Ape king,from ressurecting the Dark Master, Malefore! Faced with little time,great danger and new enemies,Spyro fights his way through an epic journey! I rented this game once from blockbuster. I miss it. I might find it on eBay though. @Brokensoul: In my personal opinion, get A Hero's Tail, it's a much better game than this one. 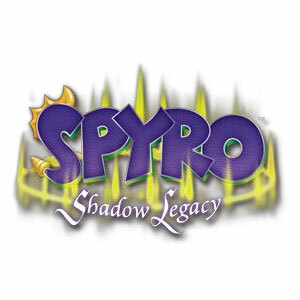 This game is just too hard, and repetitive, at least Spyro 5 has more to offer. I've had this game for Wii for a long time, but I can't stand Wii controls for it so I stopped playing hardly into it. I may buy it for PS2, but I'm not sure if it's worth getting this or buying a new Hero's Tale copy.. I didn't really like the DS version of this, but I thought the PS2 version was AMAZEBALLS! This game gets really boring after you get all the elements fully upgraded and all the collectables and beat the game with all dragon challenges, *huff* the game gets reaaallly boring. I like the game but I can not beat it for some reson. I found this on the discount rack at a GameStop in Cape Cod. I guess it isn't that popular any more, but I personally love the game! THIS GAME WAS MY FAVORITE OUT OF THE THREE! its easy to beat and fun. I think I liked the DS version of this game better than the console. The environments were so much prettier on the DS and very interesting with a lot of thought. It wasn't as dark either. This game is just ridiculous. I could never understand the combat system to it.